Dubai: Women can no longer be excluded from playing an essential role in legislative and constitutional processes especially during the rebuilding of peace, emphasised the session ‘The role of women in rebuilding nations,’ on the first day of the World Government Summit. Recalling her country’s success story on Sunday, Nobel Laureate Leymah Gbowee, a Liberian peace activist, discussed the determination she needed to lead the women’s non-violent peace movement that helped end the Second Liberian Civil War in 2003. “Women decided along with myself we were going to protest for peace-we stepped out in white, sometimes no shoes, no make up, challenging dictatorship, standing in front of AK47s, barricading different things,” she told the audience before receiving a lengthy round of applause. The activist who spearheaded the ‘Women of Liberia Mass Action for Peace,’ highlighted that this story is not unique to women in Liberia. “In all countries around he world affected by conflict, women everywhere are standing up and stepping out,” she added. Often forgotten at the end of a war, women are expected to continue following traditional roles of staying in the kitchen and taking care of children, “a message that is no longer an option,” said Gbowee. She explained that the impact of conflict on women’s life is a reflection on the society’s interactions during peace time. 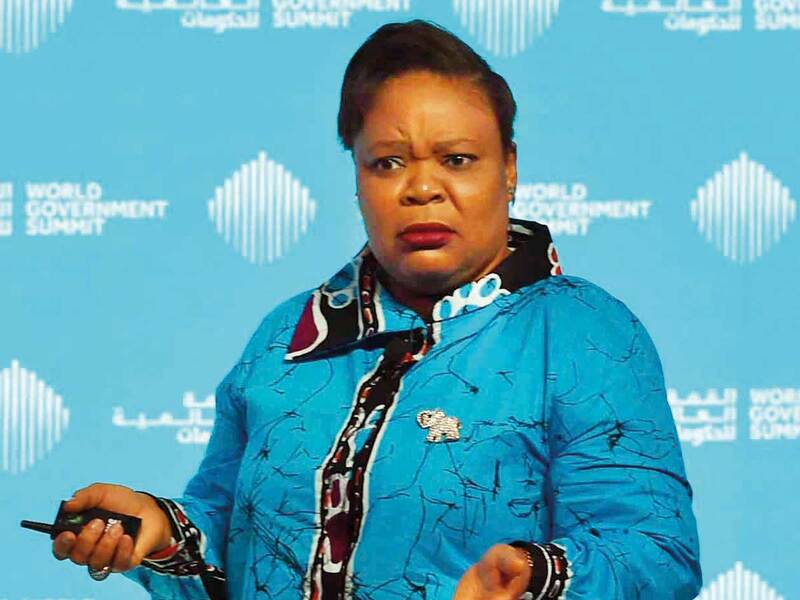 “Our nation would not have gone from war to peace to two successive elections and breaking a 70 year transfer of power in 2017 had it had not been for the unique skills of women,” said Gbowee.